How cool is this? 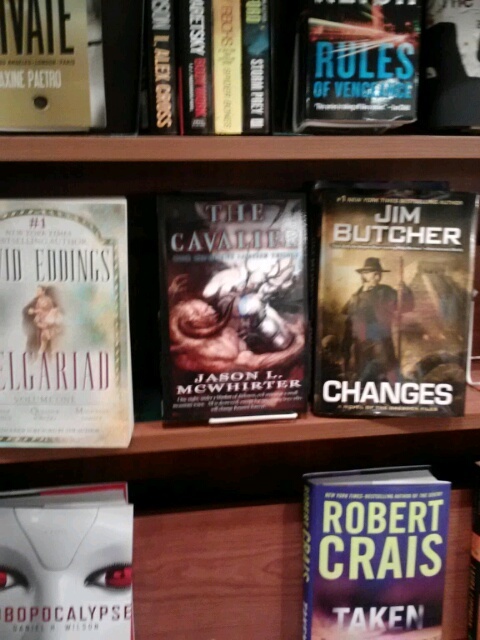 My book between David Eddings and Jim Butcher. Picture of my book in a small book store in Winthrop, Washington. Jonas’s God Mark…what do you think? I wanted to attempt to visually represent what I imagined Jonas’s God Mark would look like. I drew this picture the other day and played around with Shyann’s tree. If it was in color it would look much more stunning. 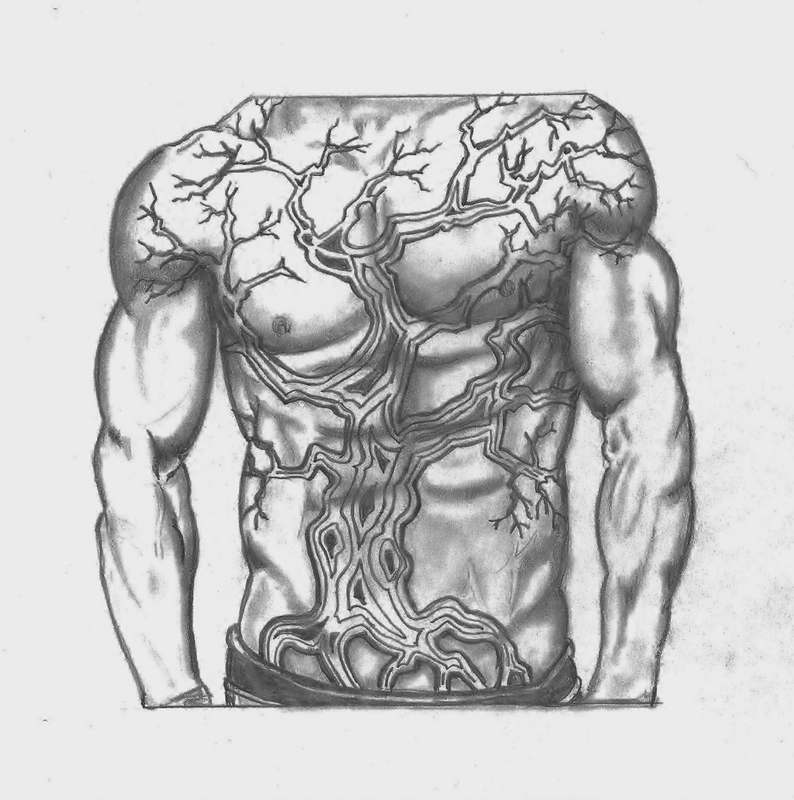 The tree would be blue and it would be lined in silver…so you can imagine how cool it would look on his torso. The idea was that it would look different than the symbol on his armor as the God Mark grew and expanded in the story. If I used the same symbol on his armor then it would be tough to show that. As you can see from the picture the branches can continue to grow down his arms or even up the side of his neck. It’s just a work in progress but I’d love to hear what you guys think. Hopefully, someday, I’ll be able to afford to have a professional artist do a color mock up of this drawing.